you are willing to expand the theory framework you are going to test, as this exploratory method may find properties you are not aware of. 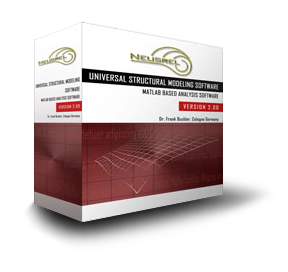 NEUSREL is a software that is available as a MATLAB-based (provider: Mathworks) version or as a stand-alone software. Because Neusrel is MATLAB-based it can be maintained and improved much faster. The user interface is the absolutely leading in its ease of use. The entire model setup is via a single Excel file. Large models are setup in minutes. Further you also have all the settings for each analysis and the results in one file. A must for professional, replicable analysis projects. Prices: The software can be licensed on a time-basis i.e. be rented. The annual fee for industrial users are in the five-figure range. For universities, there are attractive special tariffs.